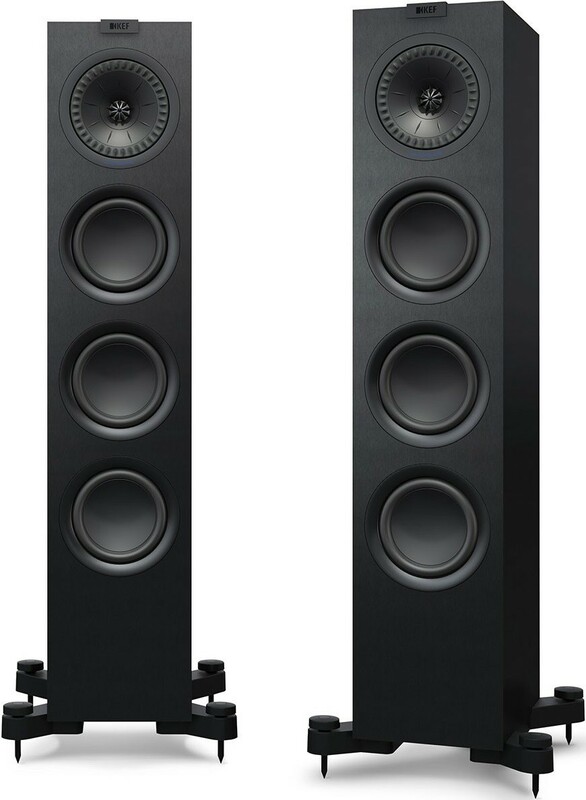 The Q550 is the smallest floorstanding model in KEF's Q-Series. It updates the Q500 thanks to an Uni-Q driver, 130mm aluminium bass driver and two Auxiliary Bass Radiators. 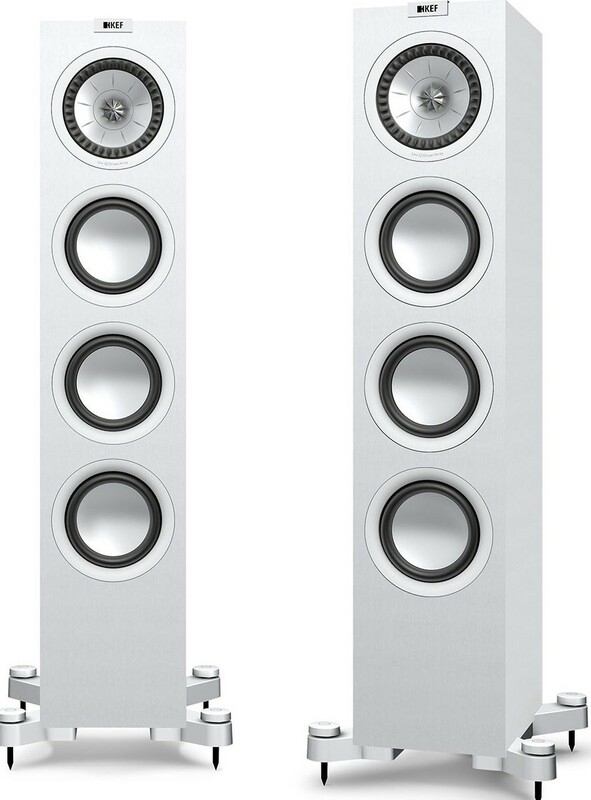 KEF Q550 speakers (Pair) combine a sleek aesthetic with high-calibre sound quality, encapsulating the innovative vision of KEF’s upgraded Q-Series in its eighth carnation. The Q550 updates the earlier Q500 but replaces and surpasses its predecessor thanks to the brand’s signature Uni-Q driver, 133mm aluminium bass driver and two matching Auxiliary Bass Radiators. The Q550 is the smallest of the Q-Series’ floorstanding models and fits snugly in the middle of the family. The Uni-Q driver array defines the evolved Q Series. 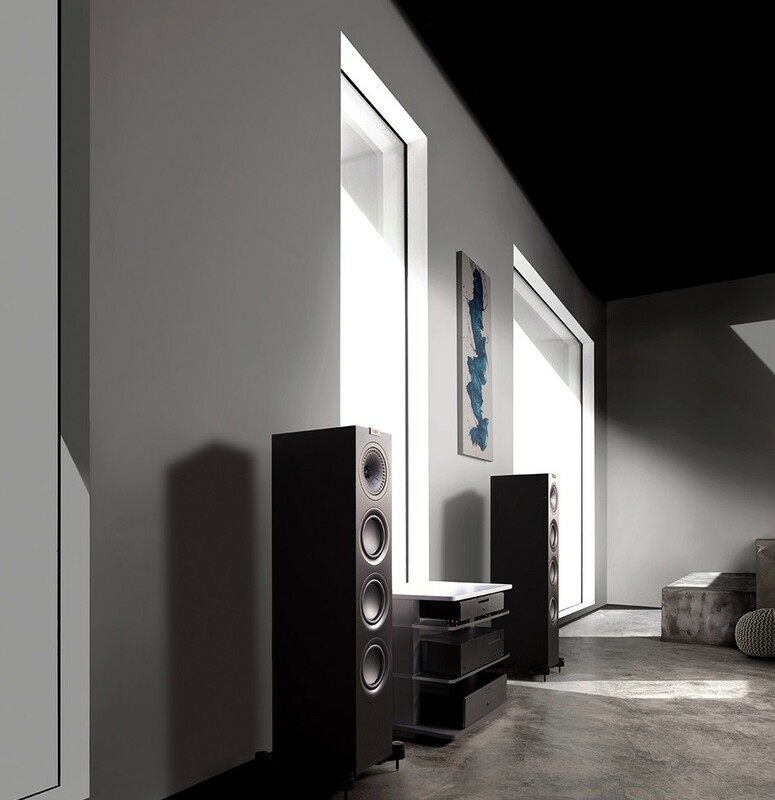 This pioneering addition creates a nuanced and rich sound performance by situating the tweeter between the midrange and bass cone. What's more, the sound image is circulated evenly around the room in a manner that is not possible from conventional speakers. 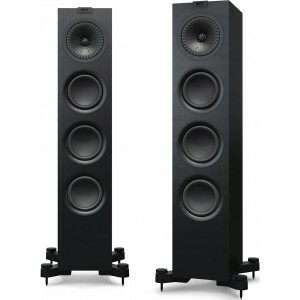 The Uni-Q's super-wide dispersion is further improved by KEF's emblematic 'tangerine' waveguide over the tweeter dome. A damped tweeter loading tube has been added to the Q550's which acts to gently terminate the sound generated from the rear of the tweeter. This results in an enhanced lower treble performance, while an updated low-distortion inductor on the crossover offers an immaculate bass. A clean, punchy bass and an intricately detailed sound performance are delivered thanks to the closed box midrange cabinet design. Further enhancements to the mid-range performance are offered by the DC blocking capacitor being removed. Thanks to this key removal, you can enjoy an organic bass roll-off between the model's drivers.